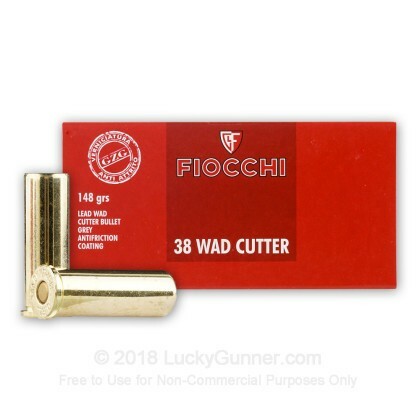 Fiocchi is becoming an increasingly popular product among shooters in the United States. It is precision manufactured with the serious shooter in mind. 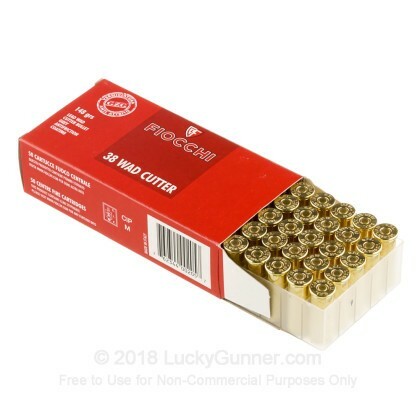 The 148 grain Lead Wadcutter bullet is ideal for target shooting since it cuts perfect circles in your paper targets. 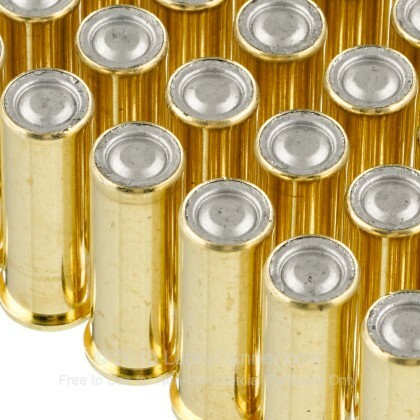 Some shooters even contend it's a great self defense round due to energy transfer but the jury's still out on that! 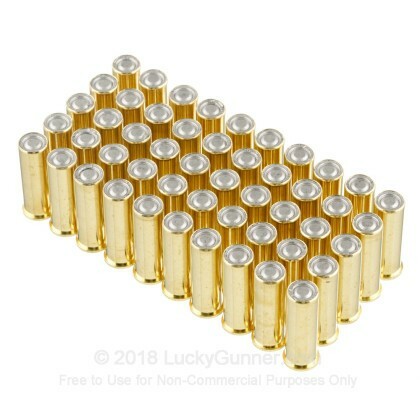 Selected this for my 84 year-old mother after 130gr ball from her s&w bodyguard 38 had split the web of her hand open. 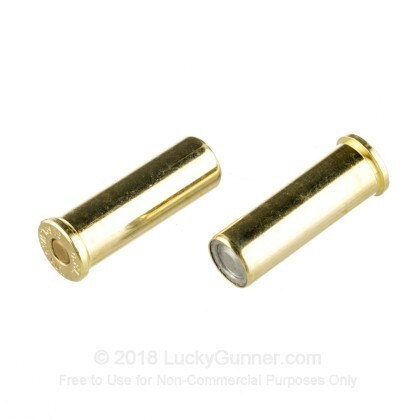 Better grips and this ammo made the revolver useable for her. From my s&w 637 this ammo shot through 4 gallon jugs of water with no expansion at a distance of 12 feet. Controllable, shoots to POA and lots of fun. 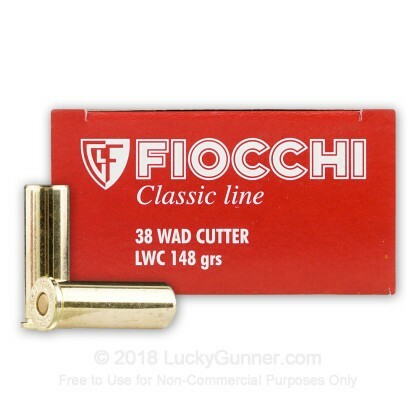 We also have this 38 Special - 148 Grain LWC - Fiocchi - 50 Rounds ammo in stock in a smaller quantity.